I've recently awoken to this problem because suddenly I have also become a victim of one of these forms of Psychological Harassment, more specifically "Workplace Mobbing". Coworkers and local management have been mobbing against me for more than one year. For example, once I had a colleague shouting loudly at me for more than half an hour about some work that was really well done and innovative. The manager never intervene to stop the harassment. Colleagues, when no one was looking, would do strange faces or even dance around. In the last few months, that wouldn't even matter anymore, they would do it no matter who would be present in the room since they all are bundled in the same group. All this is driven to try and make you look crazy to anyone you might tell the story to. After all, many people doing the same thing to you at the same time can't be true, right? No, unfortunately not. I am a Foreigner National and I never experienced anything like this before. I didn't even know what the word "mobbing" really meant until very recently and, I do believe that this people is out to make my life miserable. The managers are the ones controlling the mobbing, and as such, finding work in a different place will be hard since other companies will eventually question them for references. I've recently tried to seek for help from the upper levels of management from another office and although they have investigated it, no one from my office has, and as expected, spoke the truth about the case. Things were badly managed internally and done in an untimely manner. The law (in US) is really weak and I have not found any place or independent institution that could help investigate the case. I think that a simple lie detector test and/or sworn statement could bring the truth out in most the of cases. Till the day I still do not know what has motivated these people to attack me in such manner... maybe because I was a easy victim to them, European, no connections in the area and first job in the USA. Bullies like this will often go after those who they think will be less able to fight back. They may believe that because you are from Europe that you don't have friends and family (your support network) to help you. 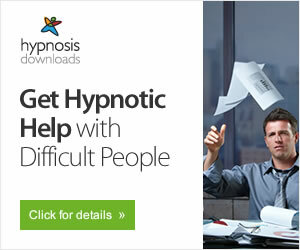 They may feel that you are vulnerable and need the job and that it would be more difficult for you to find another one. Such is the viciousness of workplace mobbing. However, it will be easier to find another job now than it will in the future. The abuse is not likely to stop. You've already seen how management supports bullying by doing nothing to stop it. It ignores the problem until you become too insistent - then they will attack you as well. Staying will take a greater and greater toll on your health, self-esteem and sanity. No one deserves to be slowly tortured at work. I suggest that your best option is to start looking for a better place to work. You may still get a good reference from this place but as time goes on this will become less and less likely. Find an employer that understands that it makes good business sense to treat its employees with dignity and respect. Employers that support bullying don't deserve to keep talented employees like you. I have recently been mobbed, unfortunately we as individuals now recognise what it is and I am currently getting help so that I can now move on with my life, a little less injured and a whole lot wiser. What I do know is that if there is no support from your employer or anyone that can assist you then it will go on unchecked at the expense of your self esteem and dignity. I personally feel elated to be out of the mobbing situation. Now I can reclaim my life. You actually do have something you can do. It sounds as if you are an immigrant? Or at least of a different nationality than "white." You can file a harassment claim based on nationality. I know it's hard, but try to remember that these people are obviously children. The actions you describe are childish and immature. The immature will always target the mature. The incompetent will target the competent. I know what I'm talking about, because I deal with it every day I work. And you are right. The U.S. is really bad about allowing this behavior in workplaces. So far there are no legal outlets. One person finally won a bullying lawsuit in Indiana. The Joint Commission has ordered this month (July 2008) that all hospitals must have an "anti-bullying" policy in place by next year. We're making progress (though not quickly enough for my taste). So, it may be soon that you can actually sue the company for harassment under bullying. What bullying/mobbing is really about, is that (at least in your case) you represent a threat to the status quo, independent thought and integrity, something they don't and never will posess. Your coworkers sense immediately that you are different, and since you are not like them, then there must be something "wrong" with you... The threat must be vanquished. Having discovered the truth of your situation is the first step to recovery, even though it is a bitter pill to swollow. Reading all of the responses from others to this insidious problem leads me to believe that the problem is so large in this country and others, that confronting and effectively dealing with it, would be akin to waking a sleeping giant. The infrastructure of the entire system would need to be repaired. Like most institutions/organizations, repairs are made only to the surface damages, exhibiting a shiny surface, but below it is crumbling, so management is so busy with patching things, they never get to the root of the problem that is buried deep inside. I am not saying this is always the case, but I can tell you first hand, once you are targeted, and the mobbing begins, the writing is on the wall, so to speak. My personal feeling about mobbing is, that it is the exact same behavior found on childrens playgrounds, essentially all grown up, grown up physically not mentally. I think the basic element of bullying is, the need to control others. The world needs more sensitive, respectful, civil people. Please know that others like you whether Nationals or not, are suffering at the hands of these vicious, insensitive people who wake up and go to their "jobs" to make others miserable. I went through a similar situation for four years, thinking that if there were a voice of reason somewhere, then this can be seen for what it really is, there must be someone, somwhere, that can bring this to light ? First mistake, there is no one. Second mistake, thinking that help will arrive, there is no internal help. Once you make a "complaint" you have sealed your destiny, at least at your job. The company's "policies and procedures" are in place to protect the status quo, nothing more. Cut your losses and move on, life is to important to give these cretins another day of yours. I once quoted the companies "mission/vision" statement values to the director and asked, "what does this mean?" The response was, "we are a team..." I almost threw up. Instead I resigned, I am not recommending resignation is right for everyone, but, you might consider the alternatives to living in an insane, hostile environment. Help comes in the form of recognition. What is it About IT That Attracts Bullies? I agree totally with "Recovering Target" but you sound like you might have a case under Racism or harassment. Saying that though you really need to leave that place and resume some kind of normal life then you might have the strength to tackle them. These are people with the emotional intelligence of a 6 year old, actually I take that back, I know 6 year olds with more reasoning power and sense of right from wrong. I'm white but I went through something quite similar (could write a book on it), but these stories do help to get your head round it and understand that you are not alone, or something wrong with you (quite the opposite usually). But your health will suffer if you don't get out in time. I spent a year trying to recover from chronic backpain/put on beta blockers and then developed shingles. Shingles by the way is a sexual disease in the company I used to work for apparently!!. 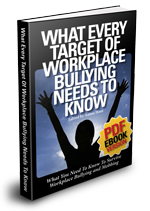 I never realised how chronic workplace bullying is until I found this site and started reading all the stories. Now when I think back and friends use to tell me things they put up with and had to quit. I use to say "you shouldn't leave a job unless you have another one to go to" No longer - even if means getting government benefit for a while - you are better off leaving. Which is another reason why they need to bring a law in against this. I'm from Ireland but the amount of people that end up on social welfare for 6 months to a year or over because of bullying, my own case included. But this is through research I did myself - nobody can go in and claim money stating the real reasons that might be bullying, but I wonder what the statistics would show if they did. A friend of mine is a Doctor and she hasn't been able to work for 6 months because of bullying. What a waste of talent and she had come out top 5% in her field when she graduated so she must have been good. Again someone who excelled at her job/ made great contributions but not a member of a clique. They've got a lot to answer for!!! As a US federal employee I was a victim of mobbing for years. I stayed as long as I did because I was committed to serving the public who used my applications (I am a software engineer, too). Gradually the stress took a toll on my body, and this was becoming more and more difficult to ignore. But what prompted the final crisis was when I was threatened with a bad appraisal after I refused to take part in falsifying documentation of a system that would endanger the public (eventually the flawed system went to production and failed, as I knew it would). When I realized I could not avoid the situation any longer, I immediately put in for leave. I would like to share what I have learned the hard way. I know it's very hard for mob targets to do what I'm about to say, because we have a strong sense of morals and duty. But if we are destroyed, what good can we do for others? Don't inform anyone about what happened in the hopes they will do something about it. If you report the corruption internally, the mobbing will increase. Not only as the unethical people seek to discredit you, but their superiors who allowed it to happen will join them. If you reach out to Human Resources and other potential sources of assistance, mostly you will experience apathy, rarely sympathy, but never will anyone actually do anything about it. There is no such thing as whistle blower protection, there is only whistle blower retaliation. You are better off just quietly resigning, even if you don't have another job lined up. For your next job, screen potential employers carefully. In the interview process, find an indirect way to let them know you want to work in an ethical, humane environment. If they shy away, you are better off without that job. Find another job with good people and do good things together with them. This is the way you can light a candle in the darkness. Remember to always leave immediately as soon as you know you are working with unethical people. Things will only get worse. After reading and re-reading your response, I felt the need to reply to something you said. When I was first approached, I said to the director, "I am sorry, but I do not feel comfortable changing data that I was not a part of, and if you want it changed, why don't you personally do it?" The directors response was, "because it has to do with your field of expertise"
Tounge in cheek, I said, "but according to your last "performance review", my performance is sub-standard?" At which point the director looked at me sternly and said, "just do it!" Needless to say, I didn't, because first of all, it would compromise myself and the public, and I would rather resign than compromise my integrity for falsifying documents, especially since I was in no way connected to the data. In hindsight, I keep questioning the fact that I never said anything to anyone and never reported it to any authority, maybe I should have, but as you know, when one is being bullied, the last thing one wants to do is create any more problems. And since my resignation, I have had some time to reflect on my experience and to gain more insight into the process of dysfunctional organizations. I escaped, but the effects still linger, and I often wonder if I should have blown the whistle. Hi i was reading your post with a lot of interest because i have been mobbed to. I am a medical doctor and i have spebt several years in the medical research. i was doing my phd and i contacted a person who i thought i would be the perfect collaborator for my ideas. As the time went by things were good but suddenly this person got more and more involved with the hospital and became a good friend with my main supervisor. after one and a half year i got a prize for my research and i started many other projects...very complicated but inspiring...we know in science we need time to get results..but this person started talking behind my back to the hospital saying i dont have results and that i dont work carefully. he wrote a document where he took his time to explain how i forgot to change the place of some boxes in the lab...very childish..he said he was advice to get rid of me..he mention that me as a medical doctor never will be able to do good science. and the only thing i did was to go to conferences..
my professional life was destroyed completely..and my reputation too. i left the place but i still regret that a person i contacted and i offered a cooperation with the hospital just betrayed me. would be good if someone has some other eperiences to share. I know all too well what you are talking about, a "friend" and colleage contacted me to ask if I knew of a position available for him because he was out of work and that he thought he would contact people and see if they could help him. I said if I hear of something I will get back to you. Part of my job was to develope and implement new municipal health and safety programs, and one of the government mandated programs I created became a local ordinance which required someone in a part time position, so I convinced my "supervisor" (bully) to hire my friend for the position since he has the required background, and I made it clear that I am not doing this for him because he is a "friend" but because he needed work and was qualified. Guess who now has my job? And guess who is out of a job? What a con job! Yep, my "friend"! Oh yea, there are perpetrators out there and will do whatever it takes to get what they want for themselves. If I didn't now better, I would think I was set up. I am still pulling knives out of my back. This was just one small part of the bullying I experienced, and I will tell you this, I do not trust anyone anymore. To Miguel and any other software engineers out there who would like to be a part of a software solution that will help end bullying in the workplace, please do not hesitate to contact me.